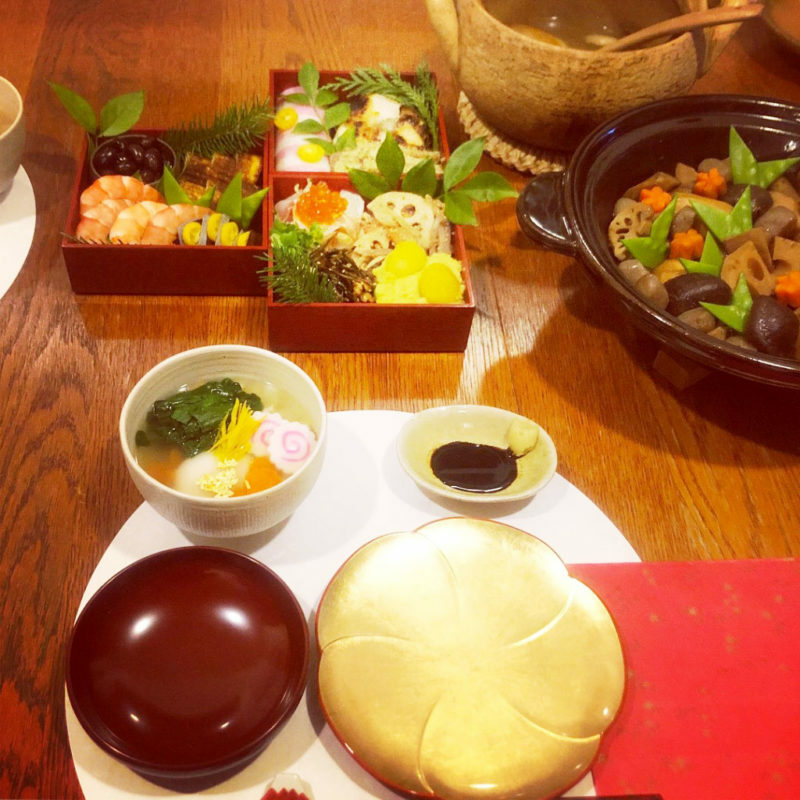 Happy Donabe New Year 2018! I spent my New Year with my husband at home in LA. 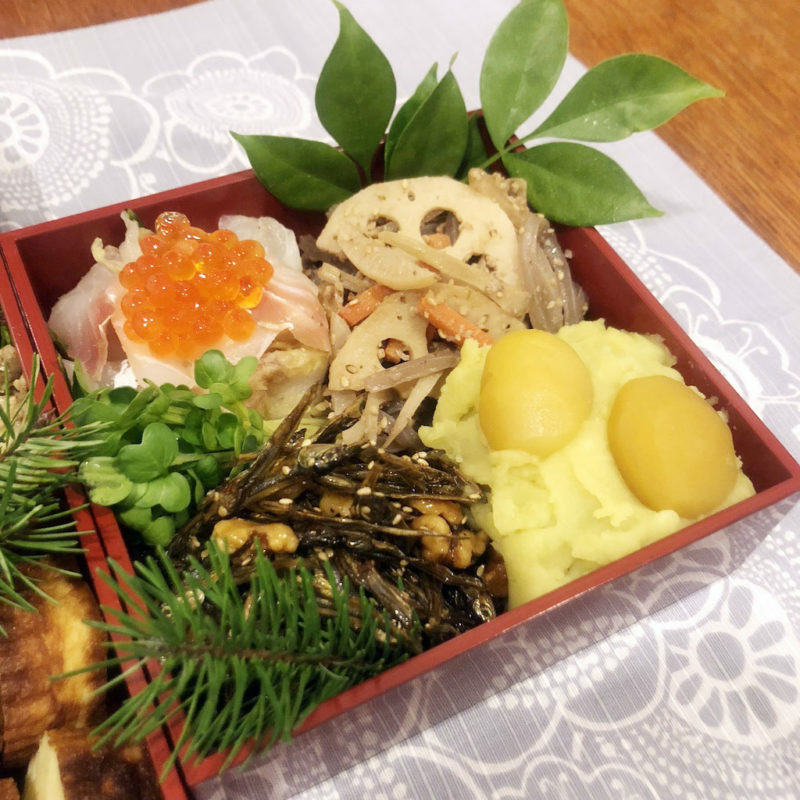 As I do every year, I prepared Osechi Ryori (Japanese traditional New Year meal). 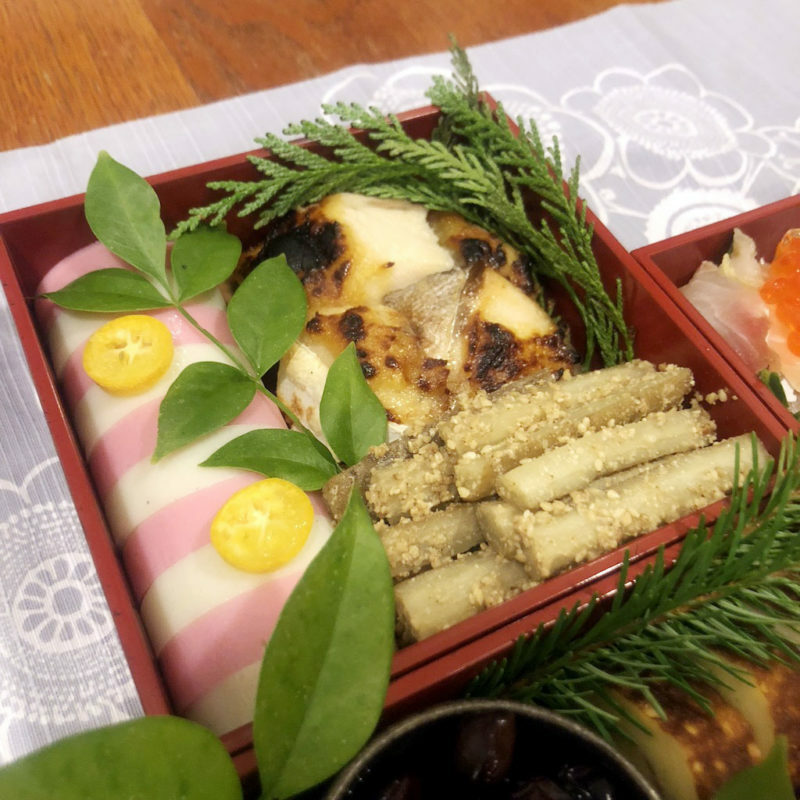 It’s a lot of work to prepare Osechi Ryori, even for just two people, as the meal involves many different small dishes. I spent all day just for this, but it’s always worth it. It’s not only ceremonial, but it’s also such a joy to share a special meal and appreciate the fact we can welcome a new year together. 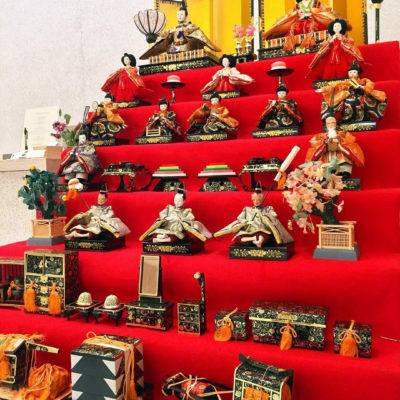 In 3 tears of traditional lacquer Ju-Bako (multi-tiered box), I made traditional dishes including Kuromame-ni (braised black beans…I used special Tanba black beans from Kyoto), Kuri Kinton (chestnuts and sweet potato paste), Tazukuri (dried baby sardines in sweet soy flavored sauce), Date-maki (rolled egg and fish cake omelet), etc. 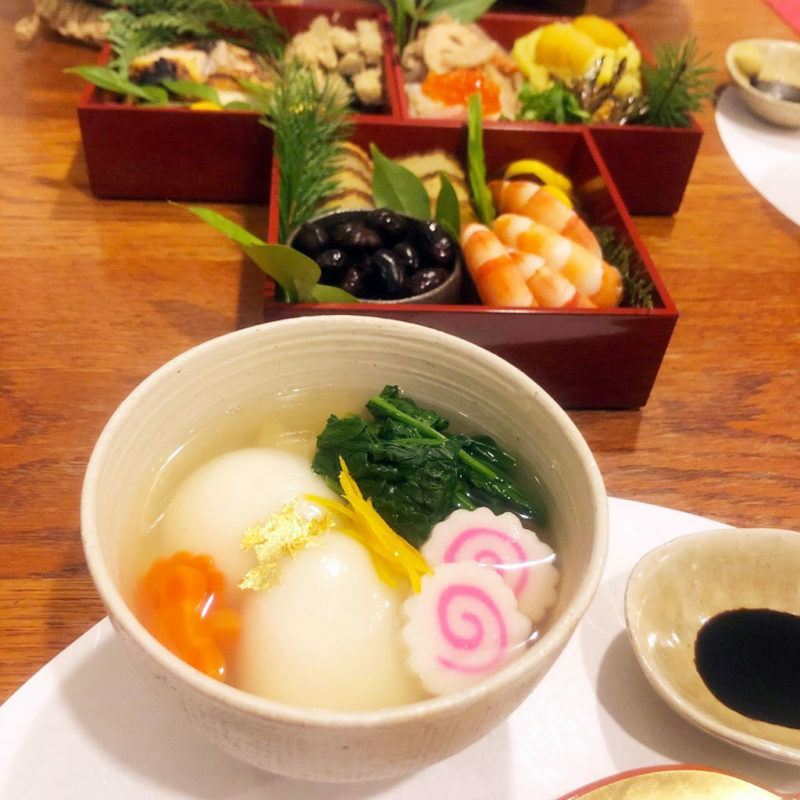 O-zoni (New Year soup)…clear dashi broth with mochi and vegetables were made in soup & stew donabe, Miso-shiru Nabe. Chikuzen-ni (Root Vegetable Stew) was made in my classic Kyoto-style shallow donabe, Kyoto Ame-Yu. I normally add chicken in this dish, but because there was already so much food for two people (! ), I made it without chicken. So, it’s completely vegan-style. The chicken version recipe is found here in our website, so if you want to try it vegan version, you can just omit the chicken and increase the amount of other ingredients a little more. I feel all the good luck and health for 2018 after the meal.